The Rayburns are returning. 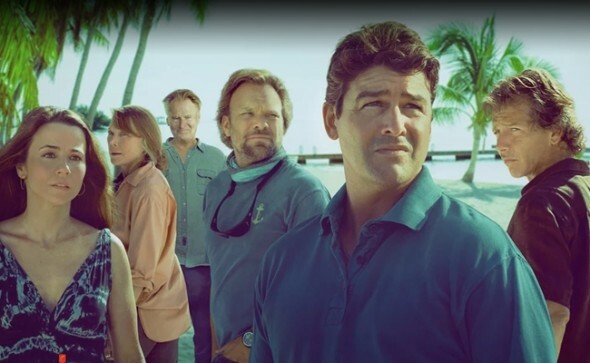 Netflix has announced season two of Bloodline will premiere in May. The family drama stars Kyle Chandler, Ben Mendelsohn, Linda Cardellini, and Sissy Spacek. In the new season, the Rayburn family continues to unravel as “mysterious strangers from Danny’s past arrive with a dangerous agenda.” Season two premieres on May 27th on Netflix. Bloodline, the unmissable thriller from the creators of Damages returns to the scene of the crime for a second season this May. The critically-acclaimed cast are reunited in the Florida Keys for the next thrilling installment of this must-see series. All 10 episodes of Season 2 will launch only on the world’s leading Internet TV network on Friday, May 27th and be available in 4K. Welcome to the family…..you still have time to re-watch or catch up season 1 currently streaming on Netflix. What do you think? Did you watch season one of Bloodline? What do you think will happen in season two? Looking forward to season 2. Season 1 was fantastic.